Columbus breweries are always debuting new beers. 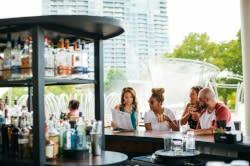 With spring and summer approaching, any one of these five new brews will be perfect for sipping on the patio! 1. Land-Grant Brewing debuted the Deep Search Baltic Porter and the Beard Crumbs stout. The porter takes its name from Bill Murray’s boat in The Life Aquatic; it’s dark but not heavy, with a slight coffee bitterness. Beard Crumbs is an oatmeal raisin stout, boasting touches of dark fruit and sugar. 2. Sideswipe Brewing introduced an imperial stout called Mastermind. It’s a big, roasty stout with plenty of coffee and chocolate flavors. Try tracking it down at their tap room just south of Grandview! 3. 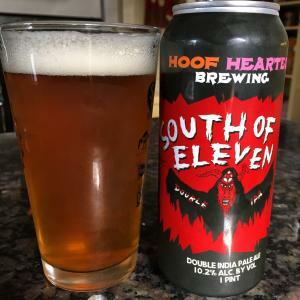 With the opening of their brewpub, Hoof Hearted Brewing has launched a number of new beers – so many that it’s hard to keep up! Their Rose Gose pours pink and is full of tart raspberry flavor. 4. Barley’s Brewing has rotated in more seasonal specialties, like their revamped Ulysses Imperial Red Ale or their Blurry Bike IPA flavored with different hop varieties. Whatever’s on tap, you can bet it’s great for sipping while you play games in their new upstairs arcade, Brewcadia! 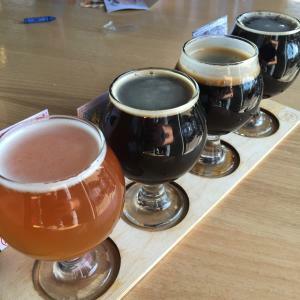 You can bet more great beers are on the way from Columbus breweries, so get out there and enjoy!